At the very beginning of the last month of 2015 we had a pleasure to listen to very experienced speaker - Jaroslaw Palka @j_palka - who told us many interesting facts about JVM internals. 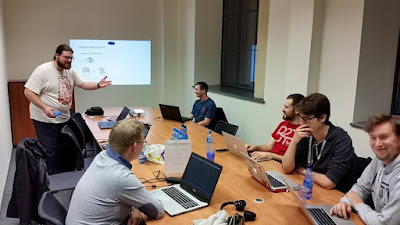 So we had a chance to see some parts of JVM source code where exceptions are literally swallowed and hear stories about debug sessions "till 4 A.M."
This time on Haskell Workshops Artur Czajka @tr00per87 was teaching about Functors, Monads and Monad transformers. 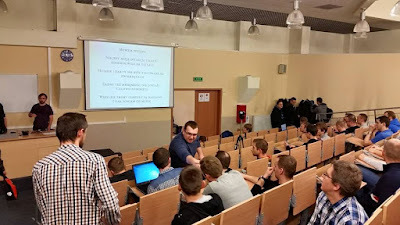 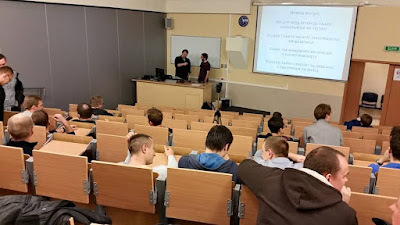 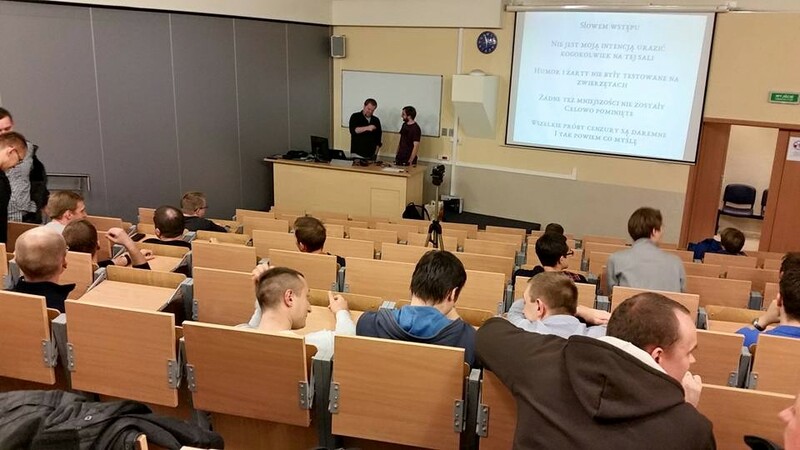 And for the first time in Lodz we had a workshop about general topic of applications security. 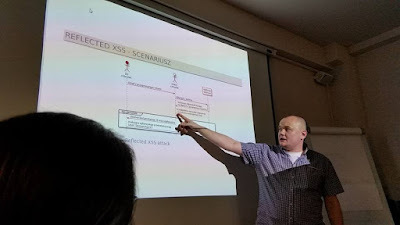 Marcin Mela from HARMAN give us many examples how insecure web applications can be, which cryptographic function is safe and how easily it is to find on google someones private cameras streaming live content! 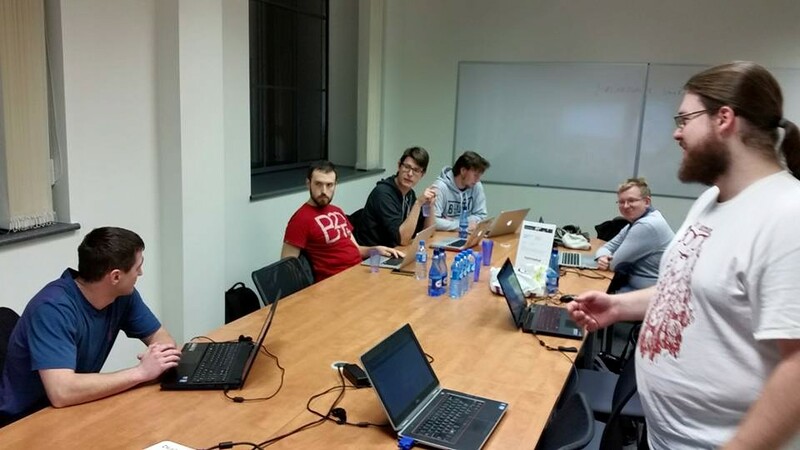 In the second part we had one hour to hack small web application and find all security holes. 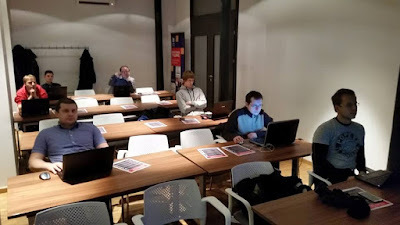 This workshops was organised in Business Link where we receive a free room with wifi! 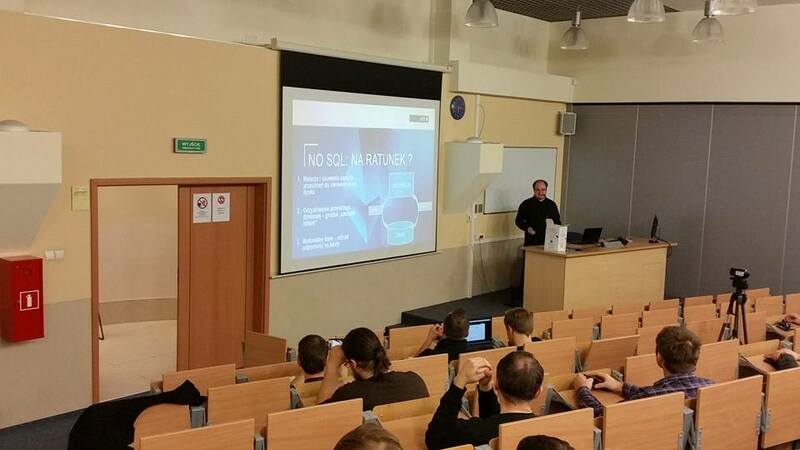 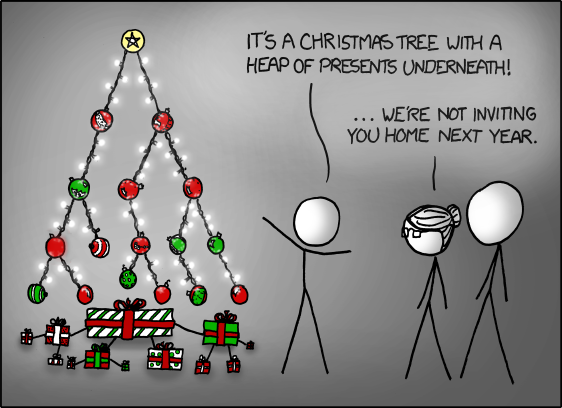 The last presentation in 2015 was made by Kamil Owczarek and the topic was "Lambda Architecture"